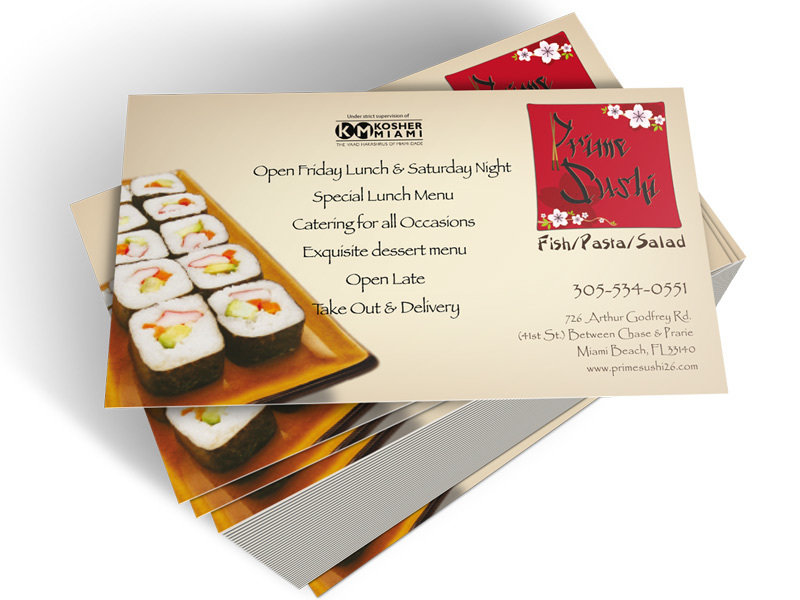 Our in house design and print specialists can cater to your every need. 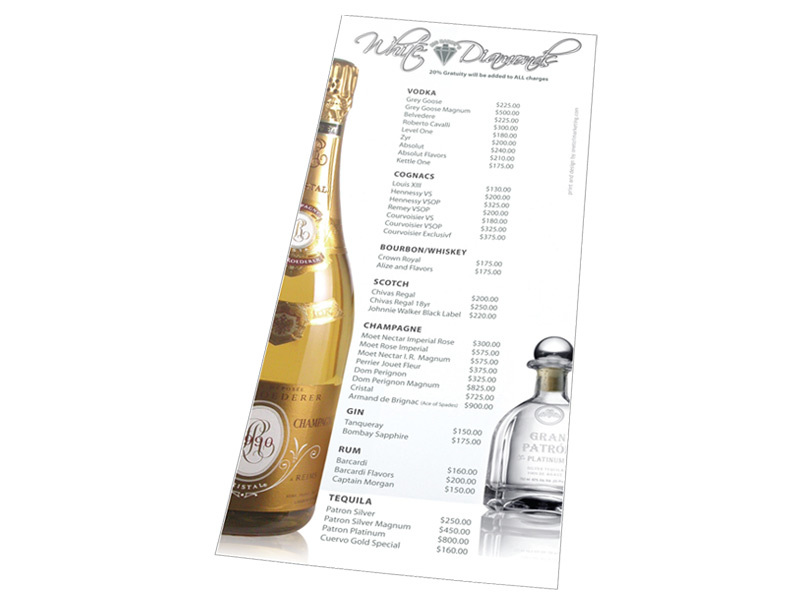 We can provide 48 hour turnaround on menus, banners, postcard, brochures, stationary, folders, catalogs, presentation folders and business cards. 48 hour turnaround *100 lbs. Cover 12pt. C2s shipping not included. For quantities of under 5,000 give us a call. 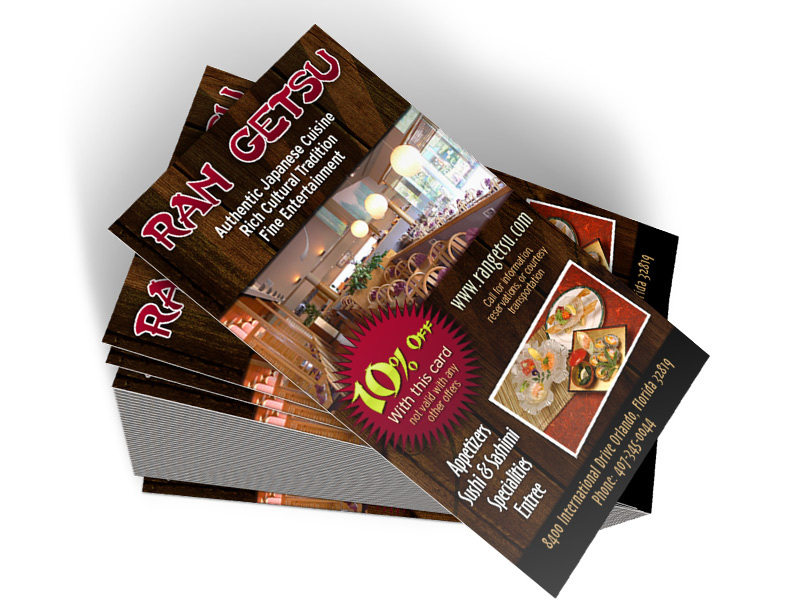 5000 full color flyers glossy 2 sided. BC'S AND SPECIALTY JOBS SUCH AS SCORE AND FOLD / DIE-CUTS / PERF ETC ALL REQUIRE BLEEDS. IF A JOB IS NOT SUBMITTED WITH A BLEED, YOUR JOB MIGHT NOT BE 100% ACCURATE WHEN IT FOLDS. ANY QUESTIONS PLEASE CALL Us. 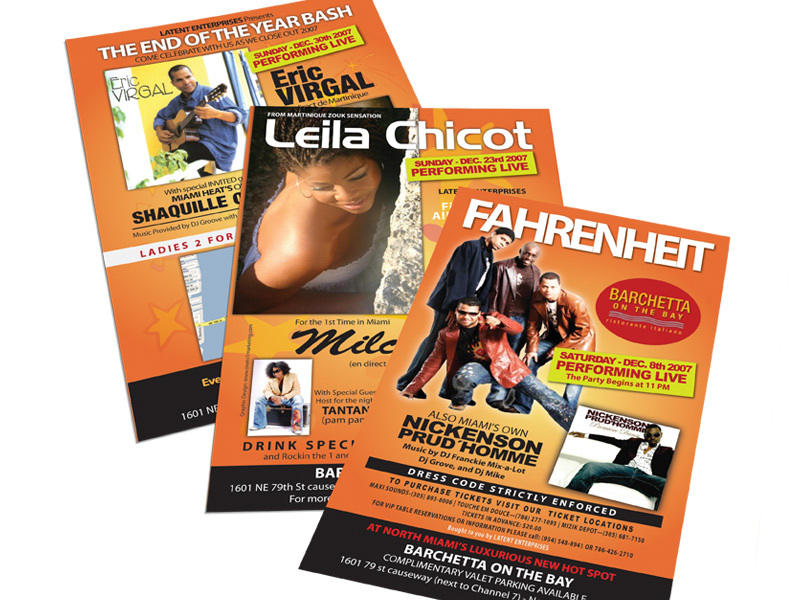 NOTE: Oneto1marketing.com prints gang run jobs unless otherwise stated. Color Critical jobs must be submitted clearly noted as Color Critical, and must be accompanied by a request for Color Proof or MatchPrint. Color Proofs are not included in our base cost schedule and will incur an additional charge. Printing prices for a dedicated press run will also vary from those advertised on this web site. Please take special care to clearly indicate a job as Color Critical so that special attention can be given to that job. OT1 will not be liable for color variations which are common when printing gang runs unless a JOB is clearly identified as Color Critical from the onset. Shipping nationwide with a 24-48 hour turnaround. 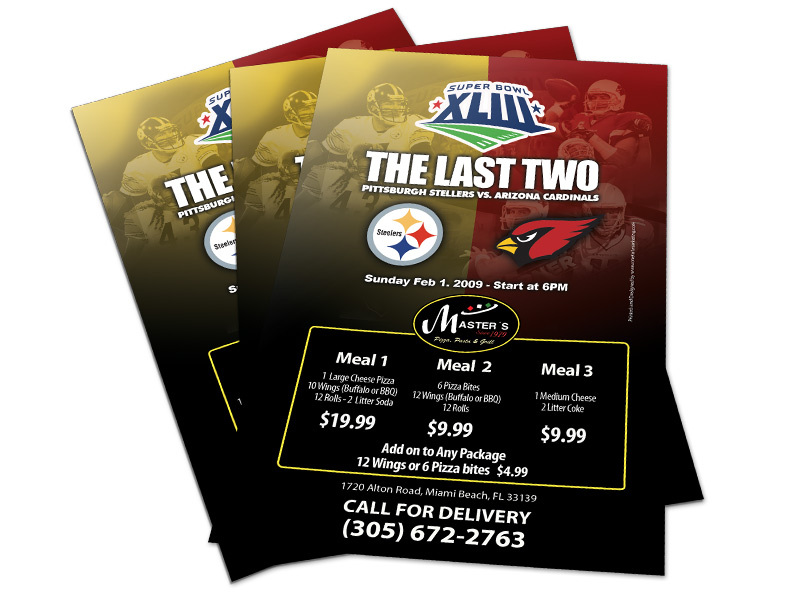 ALL PHONE BASED ORDERS ARE PRINTED ONE DAY AFTER THE ORDER IS PAID AND SHIPPED. THE QUOTED PRICES ON THIS PAGE DO NOT REFLECT NOR INCLUDE SHIPPING AND HANDLING CHARGES.